PITTSBURGH — Nov. 15, 2018 — Rivers Casino’s popular North Shore ballroom opened its doors in 2011 and has since hosted more than a thousand events, from Whiskey Fest to Heinz Ward’s retirement party, Shark Tank casting calls to Pittsburgher of the Year, and countless local weddings. The 10,000-square-foot room with riverfront views and in-house custom catering—all just an escalator ride away from Rivers’ action-packed gaming floor—has by now welcomed most event-going Pittsburghers for one occasion or another. Rivers Casino will soon complete construction on a new, 20,000-square-foot, second-floor Event Center to complement its existing banquet lineup. The Event Center’s floorplan will accommodate up to 800 guests for sit-down dinners and up to 2,000 for stand-up receptions, trade shows and conferences. 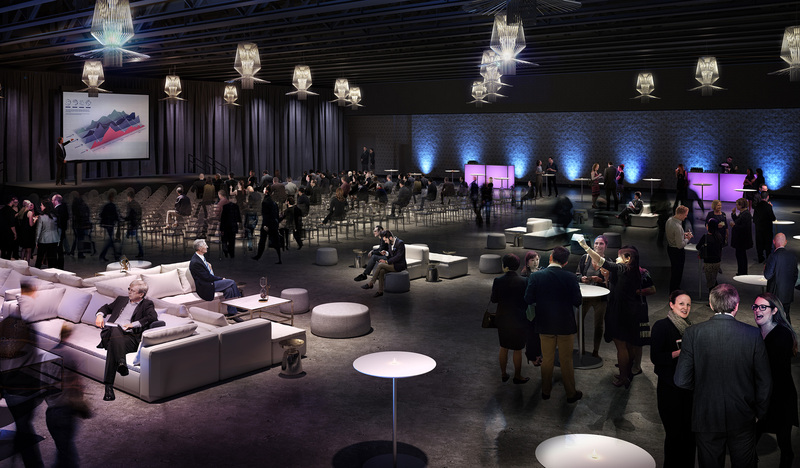 Interestingly, The Event Center’s grand hall will be constructed as “black box” space, meaning the room will be well-appointed but intentionally nondescript in color palette and design. Dramatic, high ceilings will be painted black in aesthetic harmony with polished natural concrete flooring. Light fixtures and wall coverings will be stylish yet neutral. Clean sightlines further define Rivers’ new black box concept, with unobstructed corner-to-corner views. Large-scale black box rooms are popular in other metropolitan areas and allow meeting and event planners maximum flexibility for tailoring space to deliver unique experiences. The Event Center will also feature an adjacent 5,000-square-foot pre-function area for receptions or additional exhibits. A generous green room, worthy of rock stars and their entourages or brides and their bridal parties, will be included. With the added square footage, Rivers also can now expand its entertainment programming, including indoor headliner concerts, boxing, mixed martial arts and more with theatre-style seating for over 2,000. The Event Center at Rivers Casino represents a property reinvestment of more than $3.5 million, of which $2 million was spent with local construction firms, and will create approximately 26 permanent new job opportunities in food and beverage, sales, facilities and other departments. The Event Center is scheduled to open at yearend 2018. Rivers has already begun taking early 2019 reservations for the new space. For more information about Rivers Casino and The Event Center, please visit RiversCasino.com.